Linguistic center | Academia Militară "Alexandru cel Bun"
The Linguistic Center of the Military Academy of Armed Forces was established on March 20th, 2007, aiming at implementing the conception of Language Training within the National Army and at connecting the language training process to the imperatives of time. The entire activity of the Center is designed in response to the requirements of the amplification process of linguistic communication. According to the phenomena associated with globalization and multiculturalism, the Center has set as its major objective to extend and deepen the knowledge of foreign languages through intensive forms of teaching / learning that would supplement and reinforce their learning. 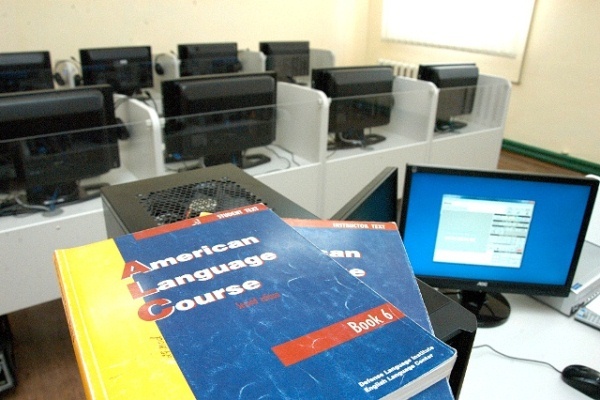 The linguistic training takes place in accordance with ALC curriculum — American Language Course, offered through IMET program by the United States. 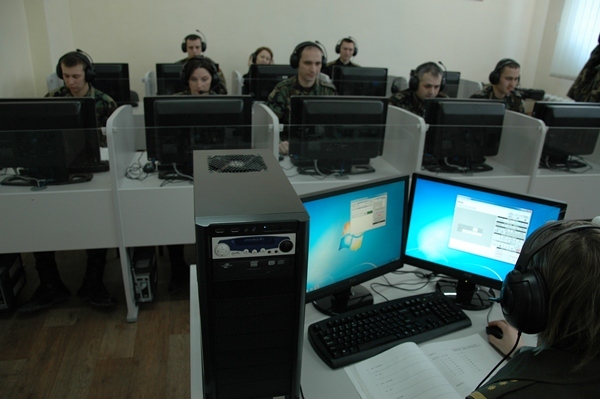 However, due to the assistance received from the British Council, the linguistic center also uses specialized curriculum (military) CAMPAIGN1, CAMPAIGN2, CAMPAIGN3. Currently, the Linguistic Center has a variety of equipment, including audio / video, LCD TV, phonic laboratories (2nd and 4th generation). Methods, as well as information technologies used in the center to study English are constantly improving. 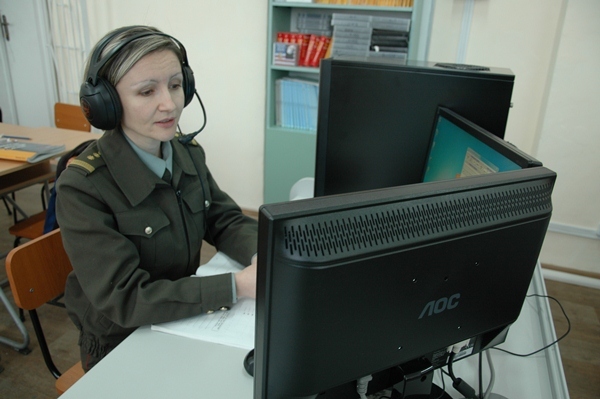 So, under the IMET program and partnership plans, and the support of the U.S. Embassy in Repulic of Moldova, the Military Academy of Armed Forces has benefited from a modern phonic laboratory “SONY Virtuoso Soloist” 4th generation that has been installed within the Military Academy of Armed Forces. The contemporary laboratory referred has full digital technology being adapted to many styles of teaching and learning. Teachers can communicate and collaborate easily with students, guiding them in a multimodal learning platforms, equipped with properties based on interpersonal skills “listening ” that broaden student experiences. 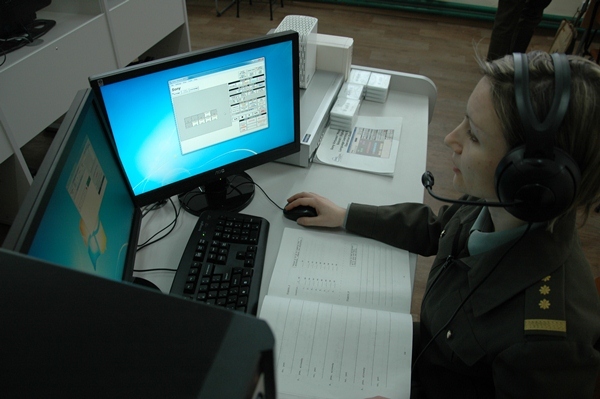 The Laboratory in question is the height of digital technology for studying a foreign language. It offers students a variety of learning options both with other students, as well as individually, ensuring the teacher optimum flexibility to guide the students. Flexibility to arrange a lesson and the ways of grouping students offers an real opportunity for collaboration. Educational control is optimized to help teachers work with students more effectively. Teachers can launch files and programs for students, can control the keyboard and mouse, as well as the monitor. The teacher can also provide/show an example of a student to the other students to be followed. 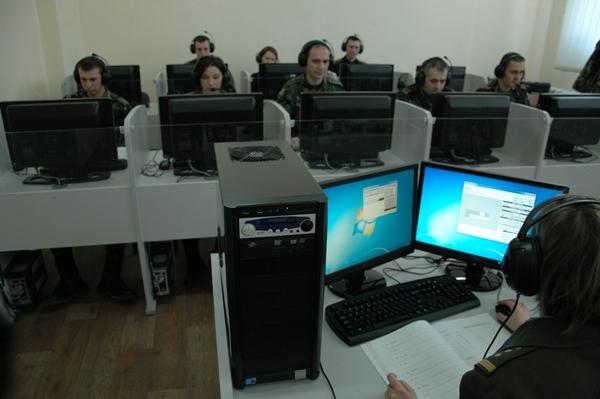 At the same time, 2010 marks the beginning of testing language skills and establishing of the standardized linguistic profile of the National Army military and civilians in accordance with STANAG 6001 criteria. 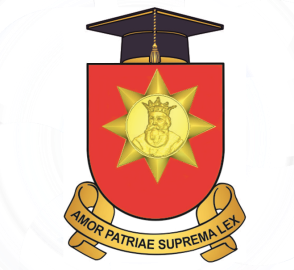 In this regard, the Instruction on procedures and conditions of assessing the knowledge of English within the Army National, and of establishing the standardized linguistic profile was officially approved. 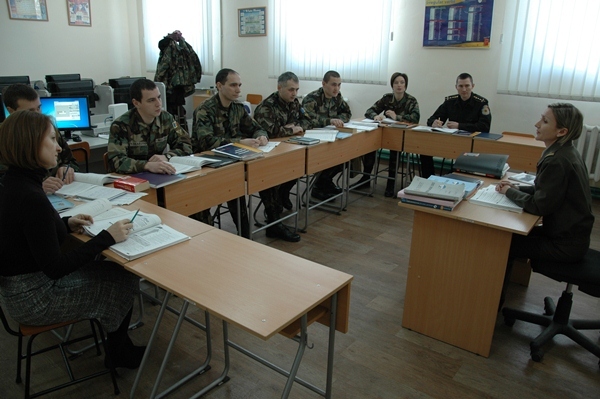 This Instruction regulates the way and assessment conditions within the framework of the National Army of knowledge of English and the setting of standardized linguistic profile, as well as the way of organizing and administering of the linguistic skills evaluation according to STANAG 6001 criteria and the guide of the participant at sessions for evaluating STANAG 6001.